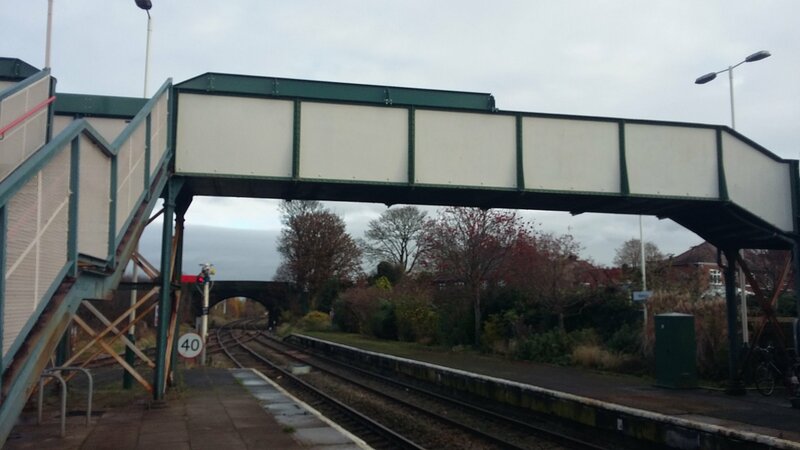 The Helsby Railway Station footbridge is being refurbished. The bridge has been in a bad state of repair for some time. Network Rail have put a second deck on the bridge which now covers the original. 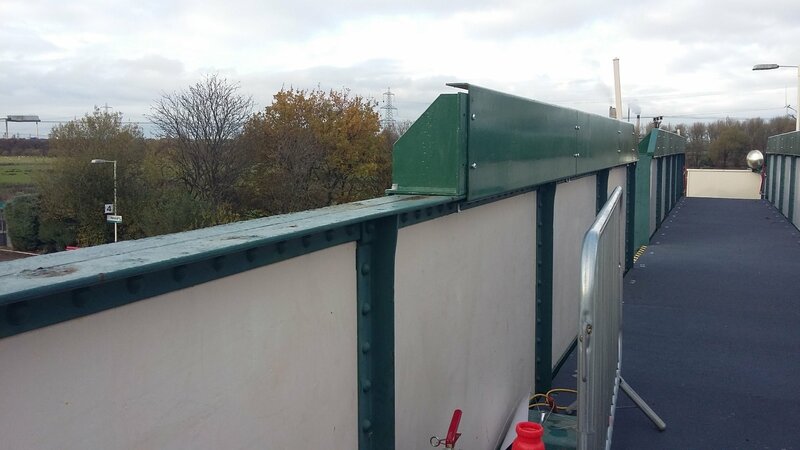 This has raised the height of the bridge so there is now an extra step to navigate. The sides of the bridge have also been raised to cover the extra height. This is a temporary fix and we expect a new foobridge structure to go up in the next year or two.